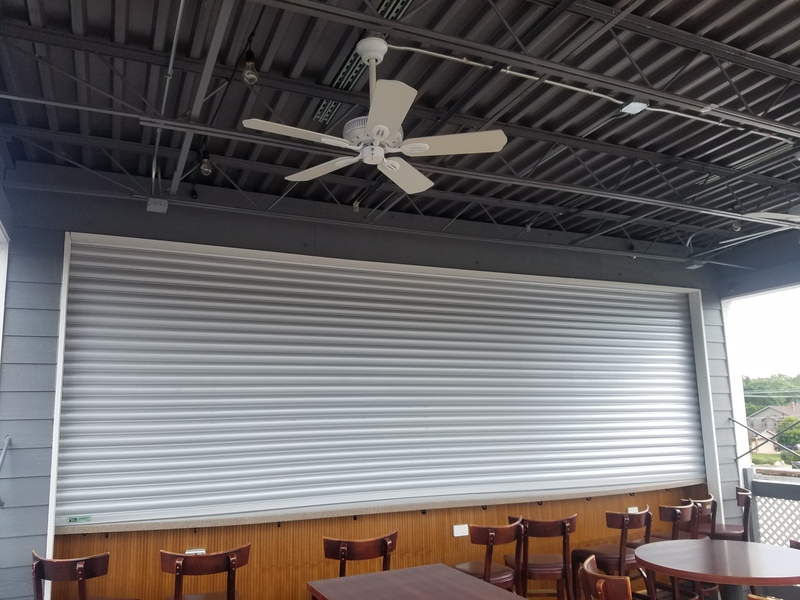 This newly renovated Bar & Grill has a new 17x6 Counter Shutter with Tube Motor for their roof top bar. Complete with electric operation for a simple open/close of the outside bar area. These shutters are available in custom sizes, standard powder coat or wood grain color finishes.